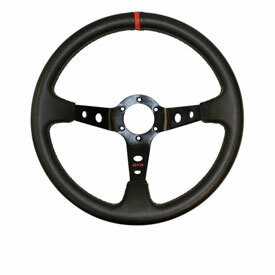 Dragonfire Steering Wheels; add style, comfort and control! Race inspired all of Dragonfire steering wheels feature a 6-bolt lug pattern with a light weight and strong aluminum construction. Will this fit an 08 800 rzr? It does need our quick release hub to work on that unit but with the correct adapter it will bolt right on! Will it work with just a standard hub and not the quick release? Yes it will work with a standard 6 bolt steering wheel adapter. It does not come with a center cap though.